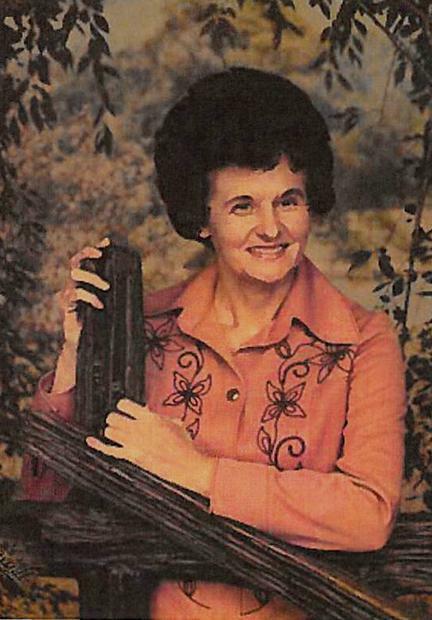 Ruth McGuffey Thompson, age 91, a resident of Stanford Care and Rehabilitation in Stanford, Kentucky, passed away Monday, August 13, 2018. Born Sunday, August 7, 1927 in Lincoln County, she was the daughter of the late William and Roberta Burton McGuffey. Ruth was a waitress at Campbell Inn in Lexington for many years, was a homemaker, and was member of Highland United Methodist Church. Ruth leaves behind one daughter, Brenda Kay Watts (Barry) of Preachersville; one sister, Berdine Reed of Stanford; one grandson, Troy Watts (Tonya) of Preachersville; and two great-granddaughters, Reece Watts and Morgan Mullins (Michael) both of Preachersville. In addition to her parents, Ruth was preceded in death by three brothers, Norman, Billy Joe, & Charles R. McGuffey; and one sister, Margaret Irene Tucker. A Funeral Service will be held 1PM Friday, August 17, 2018 at Fox & Friend Funeral Home with Bro. TJ Godby officiating the service. Burial will follow at Highland Methodist Cemetery. Memorial Contributions suggested to Highland United Methodist Church.